Wanting to become a successful entrepreneur? Do you want to earn fame, money and a good reputation? Are you passionate about business and making quick money? If yes, then this article is perfect for you! In this post we are going to share and discuss with you some of the top books you should definitely read! All of them have received recognition and have also been considered as some of the best books every entrepreneur must read. Creativity Inc is one of the most popular best sellers all over New York city. It has helped hundreds and thousands of entrepreneurs shape their lives and will help you too. Written by Ed Catmull who is currently the president of Pixar Animation and Disney Animation, this book will help you unravel and understand all the forces and obstacles that stop you from being inspired truly. This book is so interesting that you will get to know some of the most interesting experiences every CEO has. Plus it gives you several insights concerning this field of business. A second book you should definitely add to your personal book collection is True North. This one has been written by Bill George and Peter Simms. The book is pretty interesting as it tells you about an interesting survey conducted among a hundred and twenty five men and women on what they would like to believe makes them authentic leaders. The answers will definitely take you by surprise. The book will teach you excellent leadership qualities and teach you new values and how to keep yourself motivated at all times. Zero to one is written by Peter Thiel and gives you excellent ideas on how to build a future for yourself. The author here gives you a good idea on what he thinks about business and his whole philosophy is also very interesting. It will also help you come with new ideas and create some of your own. Zero to one gives inexperienced people great pieces of advice that will definitely help you in the long run. Thinker Toys is fourth we have to speak about. Written by Michael Michalko, the book helps you boost creativity through some of its most interesting and fun exercises. It has also been called the creativity bible. 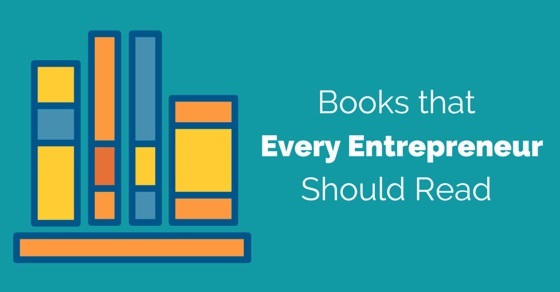 There couldn’t be a better way to learn about entrepreneurship than these excellent books. Unbroken is another excellent book based on entrepreneurship written by famous author Lauren Hillenbrand. This book is based on World War II and is number one on Amazon. This book has also been made into a Hollywood motion picture. The book teaches you about the sacrifices made by entrepreneurs and the strength of character found in each and every one of them. If you give this book a good read, you will definitely be able to understand life in a better way and deal with different challenges and catastrophes that come your way. Team of Teams is another book you should definitely read. Written by Stan McChryshal, this book teaches you how to face your fears and reach the top of the ladder. When the world is full of tiring and complex challenges, you can always stay ahead and fight competition at all times. And this book gives you excellent guidelines on how to do that. The author who wrote this book had come across several adversities where his enemy was constantly changing before his own eyes. This inspired him to write a book of his own and speak about his experiences. Abundance is a very popular book written by not just one but two authors namely Steven Kotler and Peter Diamandis. The book is quite interesting as it raises different kinds of questions related to the industrial and societal trends and how that will help you lead the future. In that way you have a new opportunity to learn interesting things at one go. If you haven’t read Abundance yet, give it a shot right today itself. The Four hour workweek written by Timothy Ferriss is something we will definitely dare you to read today. It is full of action and fun that will get you ready for the future. The content is pretty well written and the ideas are excellent. You are definitely going to learn a lot about being a successful entrepreneur through this one. The best part about this book is that it teaches you to work in a professional manner and also pursue all your dreams and passions such as business plans, travel etc. The fire starter sessions is written by one of the most popular and well known authors of all times, Danielle LaPorte. There are 16 chapters in this book that will continue to help and inspire you in this business. There is nothing too preachy about this book. Neither will you feel like the person is trying to be too professional. Her passion will definitely help you shake some good action and strong action out of yourself. Plus the book has several experiences you may always relate to. Speaking of good books, it would be an absolute mistake to miss out on the hundred dollar start up. This one has been written by Chris Guillebeau. The author here gives you great examples on how to make use of the opportunities in life, to understand circumstances and turn your passions and hobbies into something that is much more profitable. It will definitely encourage a knitter to open up a yarn store of their own. The book is perfect for those who want to be creative and encourage creative thinking. Enchantment, written by Guy Kawasaki will teach you how to really take good care of all your customers. It has some of the brilliant suggestions and ideas you can definitely use. Kawasaki has defined competition in a whole new way. Plus you will learn new and interesting ways to define yourself in the field of entrepreneurship. Finding your way in a wild new world is one of the best books of all times. She is not just an author but also a life coach. A serious approach towards this book will definitely help you take away something highly valuable. It gives you valuable lessons on how to make money. The Alchemist written by Paulo Coelho is a classical story about an Andalusian shepherd who tutors about the importance of wisdom and ways in which we can listen to your hearts. The book has achieved enough appreciation and praise and continues to wow its readers because of the wonderful secrets of life that have been revealed. It definitely falls under the category of modern classics and promises to change lives forever. Who moved my cheese is an excellent book to start off with! Written by Spencer Johnson, the book helps you to handle stress and anxiety and will definitely help you take care of changing times. If you are worried about your career or making the right decisions in the field of entrepreneurship, this book would be a great start for you! Go ahead and give it a read soon. The Longer Tail written by Chris Anderson has become one of the most powerful and well known business essays and articles of all times. The author is versatile and carefully takes a good look at the current economy and tries to understand interesting ways in which the business can be improved. Exploring opportunities is also something you will learn through the Longer Tail. There is no way you should miss out on this. Good to treat is a wonderful book written by popular and famous author Jim Collins. It is not only the best bestseller of this whole genre and can also be considered as one of the best management theories of all times. Freakonomics is something you must read. Written by Steven D Levitt and is based upon the study of incentives. Here you will understand what people really require and need. You will know how to deal with situations where people want the same thing at the same time. There couldn’t be a better way to learn about entrepreneurs than this. This completes our top list of books every entrepreneur should read. If you have already read some of these books, you can definitely consider yourself well versed enough. But do make it a point to get hold of the rest. Plus if you know someone who enjoys reading and belongs to the same field just like you do, ask them to give this article a shot. On that note, we sincerely hope this article has helped you and that you have understood entrepreneurship in a better way than before.